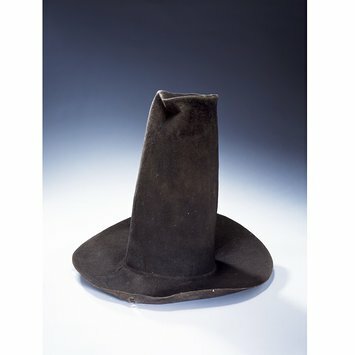 In the early 1600s this was a fashionable style of beaver felt hat, worn by both men and women. Until about 1600, the beaver for hats had been trapped in Europe. 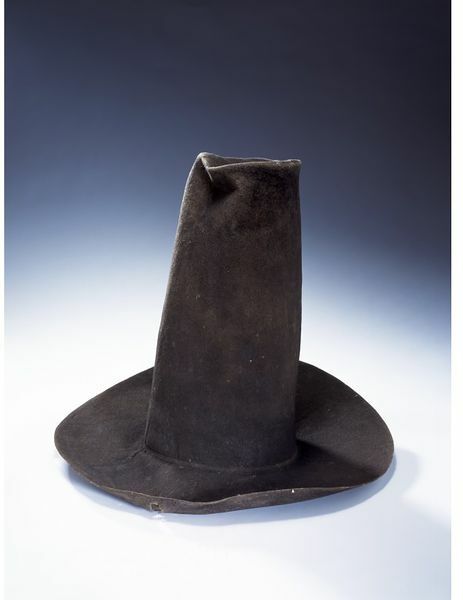 By the early 17th century, most hats were made from beaver pelts imported in large quantities from North America. During felting process, the hair was removed from the skin and then fused together under heat and pressure. The resulting textile was further moulded around a wooden block to shape it into the fashionable style. Some beaver hats had short crowns and wide brims while others, like this example, had a tall, narrow crown, known as the steeple shape because it resembled a church steeple. This style spread to rural areas of Britain where it remained a common form of headwear, long after new and different styles of hat came into fashion. 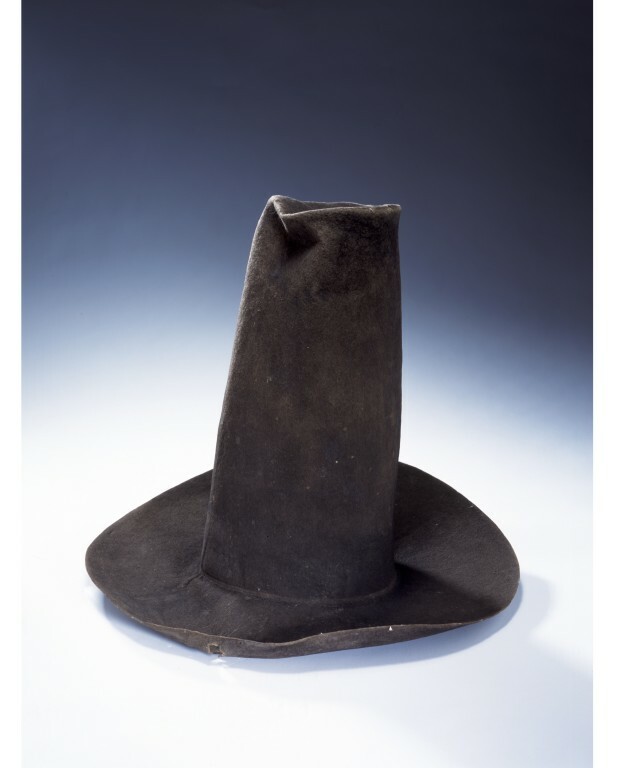 A man's or woman's hat of animal hair felt, with a wide brim and high crown. The felt is thin and slightly angled in shape. Holes at the front of the hat indicate where a hat badge was repeatedly pinned.